Classically Liberal: Death and the value of life. If you are looking for sunshine and lolly pops, I’m afraid you came to the wrong place today. My mind has been preoccupied with something unpleasant: death. Neither worry, nor get your hopes up, as the case may be: I’m not thinking of doing away with myself. But the deaths of others have been on my mind. I am the type of person who gets extremely upset when others are hurt. That is the reason that I’m a libertarian. I despise the needless pain that is inflicted on people. I despise tragedy. Given my druthers I’m for comedy. I love to laugh. And I love to love. But we don’t’ live in a world made up exclusively of light and laughter. This somewhat morose journey began when I was shocked to hear of the death of Stephen Gamely. I was never a fan, nor did I dislike his music. A popular singer, Gately had also become a stage presence in London’s West End. But what shocked me was that he had so much good in his life, he had so much going for him, and suddenly he’s gone. He was so young as well. He, and husband Andrew Cowles were at their vacation apartment in Majorca. Around 1:00 am the couple drove to Palma for some drinks. Gately had called his family in England just shortly before that. It was an hour’s drive in both directions. And Gately and Cowell were home by 6 a.m. Cowell retired to the bedroom to sleep but Gately stayed awake to watch some television. At some point he fell asleep sitting on the couch. In his sleep he became ill and vomited. He choked as a result and was discovered several hours later. Update: Autopsy results reveal that Gately died "died a natural death of acute pulmonary edema." Contrary to sleazey media reports his death had nothing to do with alcohol or drugs. All the accounts I’ve read describe him as a gentle person who was kind and caring. He had it all. Now he’s gone. In reading the press reports I found some information and many merely lurid speculations. One article mentioned other “stars” who had untimely deaths. One of those surprised me since I didn’t know about it. I had missed the news when it happened, probably due to being out of the country at the time. Jonathan Brandis, who played the role of Bastian Bux in the sequel to The Never-ending Story, killed himself in 2003. He was just 27-years-old. He got his start in 1982 in television, and had roles off and one for several years. His longest role was in seaQuest DSV, from 1993 to 1996. But his career stalled and he became depressed. He wanted it so badly and it didn’t seem to be happening. In a depression he ended his life. I remember some conversations I had with my friend Jason, who like Brandis, was a Connecticut resident. Jason called me during my brief run for office and wanted to work in the campaign and we became friends. He had done some television commercials as a boy. He then went on to perform on Broadway with the likes of Yul Brenner and Angela Lansbury. He spent some time in Hollywood where he went to shoot a TV series and did a film with Glenn Close. Few child actors can cross over that bridge, they have to REALLY want to. By 14 I realized that I didn't really want to succeed in acting enough to do the work required to have a successful career. You have to really want it, the same goes for the music industry as I found out. I've had my ups and downs but I look back and I think that generally I have too much self esteem for the performing arts. Most of the artists I know are motivated by an innate burning desire to be validated from the outside world. ( [Richard] Rodgers for all of his genius was a classic example) I am more or less content with my humble self, just the way I am, and if no one else recognizes my genius, that is their loss. One of the things I long suspected about the Hollywood “life” is the need to constantly be selling one’s self. A woman I met there told me she was a screenwriter and starts giving me all sorts of advice on projects I was working on. In the end it turned out she had never had a script in production, though she did claim that two of her scripts were “stolen.” She was selling an image not a reality. I can understand how alluring the Hollywood lifestyle can be. Jason didn’t have the drive for it and gave it up. Brandis had the drive, but his career never jelled quite the way he wanted. Brandis took his life and Jason lives happily with family back East. I can’t help but think Jason got it right. Both these tragedies reminded me of the darkest moment in my own life. David was my closest friend. Not a day went by that we didn’t talk by phone for at least one hour or more. I didn’t realize precisely how much David sacrificed to remain friends. I once offered him a job and he was told by his partner, in no uncertain terms, that if came to work for me that he had to find a new place to live and give his car back. David handed over the keys and walked out. I didn’t know about it until after it was a fait accompli. David’s time working for me lasted about half a year when he announced he was moving across country. I was disappointed, but it was his decision. He was seeing someone and they decided to move in together. He also got a job at a resort where he would stay during the week, retuning to his new home on weekends. Even though he was almost 800 miles away we continued talking by phone daily. It soon became apparent that David was unhappy where he was. But his position for me had been filled and I wasn’t sure what to do but try to counsel him through the unhappiness. Christmas was coming and I called the resort where he worked and booked myself in under a pseudonym—I wanted to surprise him. Some months earlier, before he left, we had gone shopping together and he showed me a boxed, two volume set of Salvador Dali, whose work he loved. I drove to the store where we had seen it and bought it as his Christmas present. I then drove the 8 hours to the coastal town where he was working to cheer him up. As I was walking in to the resort he came walking out and did a double take immediately. He lit up and came running to give me a hug; he was so thrilled to see me. I told him I had come down to spend a couple of days before Christmas and handed him the present. He immediately opened it and looked shocked. He could only say: “You remembered, I can’t believe you remembered.” I checked into my room, had some dinner, and met David at the resort's bar, where he was assigned bar tending. But it became apparent that he was trying to deal with his depression and personal problems through drinking. By the time the evening ended he was drunk. There was nothing I could say or do under those conditions. The next day we went for a walk and I tried to speak to him about his problems. It was his day off and he continued drinking. Once again the ability to talk degenerated. I realized there was little I could do for him when he was in this state. I drove back home that afternoon and kept in touch daily by phone. By the New Year things had gotten much worse for him. He was depressed more often and drink was his only solution. Each day I tried to encourage him by phone and gave the best advice I knew how to give. By the end of January the calls became more frequent, every few hours. I spent hours each day trying to help him. But, as often happens with problems solved by drinking, the problems only grew. Come early February I was on the phone three or four times a day. The one-day in question I spoke to him early in the afternoon. Again during the late afternoon we spoke. And one again we spoke in the evening. He was calling other friends as well. He was constantly on the phone with someone, me most of all. He was on the line with a girlfriend late in the evening. He was drinking again and severely depressed. In mid sentence she heard a loud noise and then nothing. She was sure it was gunshot. She couldn’t get a response and hung up and called the police. The police had to break down the door of the main resort building to get in. David was found sitting on the floor. The phone had been in one hand, a gun in the other. The police wouldn’t say whether they thought it an accident or intentional. Perhaps it was a bit of both. It was around 2 am when I got the call. I was asleep when the phone rang. It was a friend of David’s. He said: “I thought I better tell you. I’m not sure anyone else would think to call you and I know how much you meant to David.” I was shaken when I hung up from the call. The house never felt so empty to me as it did that moment. A horrible, painful howl shocked me, and then I realized that I was making the sound. I cried alone for hours until the sun came up. I called a friend and begged him to pick up a friend who didn't have a car, so he could be with me. Both of them arrived two hours later. The one booked off work for a week as a personal leave. They went to the pharmacist and got some sedatives, not being the U.S. this was possible, thank god. I would take a pill and climb into bed. Hours later I would get up, have something to drink, take another pill and go back into my self-induced coma. For three days I remained in a drug-induced coma. The one friend stayed with me the whole time. With little else to do he finished the renovation project I was doing in the living room—stripping off the rest of the wallpaper and repainting the room. I spoke with David’s mother who told me she always thought that something like this would happen, that David was a doomed child from the beginning. David worked at a restaurant where I frequently ate for business reasons. He knew who I was but I didn’t know him until he was my waiter one night and introduced himself. Two days later he called me at my office and started chatting. I left the country for a month of traveling and almost forgot about him. Shortly after I got back I saw him again. It was at a contest where I had been asked to be one of three judges. I was there with a friend who worked with me on the publication I edited. David was there as well and came over and sat at our table. I still have a picture taken of us at the table that night. Our friendship began that evening and our conversation lasted until the next sunrise. David told me his life story and it was clear that he held a tragic view of the world and his own life. David’s mother had his funeral planned at a Baptist Church, merely because it was the closest church to her home. I demurred attending explaining to her that David would never expect me to enter another Baptist Church in my life. I also feared the minister would use the occasion to say something particularly stupid, since they often do. And I knew if he did, I would not keep my temper, or my silence. David would have been shocked if I had. So it was best I not be there. Funerals are not for the dead, but for the living. So the morning, before the funeral, two friends came by and chauffeured me an hour away to the funeral home. I walked in and looked into the viewing room. I saw David’s body lying in the casket. But David was life itself; this wasn’t him. I went because I felt I needed to know it was all real, I needed to see him to make every cell of brain understand that he really was gone. I was told that David had written various notes, but what they said, I don’t know. The police decided that it was best not to release the notes, at least not to me. David’s mother did not know what they said either. To this day I never found out. Like so many put in the same position I have second-guessed everything I did. I’ve asked myself if there was something I could have done to prevent this. I never had answers. I never will. We are inquisitive creatures who need to understand. We ask questions and sometimes we ask questions for which no answers exist. Some people invent answers. They posit a divine being with a special plan which doesn’t make sense to anyone but him. They talk about intelligent design where the design makes no rational sense at all. They invent a “higher logic” and a “higher reason” that is beyond our understanding. They want this deity to be the answer to the questions for which there simply are no answers discernible to us. Some people find comfort in that. I don’t. What I feel is quite the opposite actually. The idea that death moves us to a better place, or higher plane, denigrates life. It devalues the existence we know we have, in order to hope for an existence for which we have no evidence. How many people actually believed that they “were going to a better place” when they pulled the trigger, or opened the fatal bottle of pills? Can we ever know? How many people would still be with us today if they hadn’t believe that death was preferable to life? The young men who flew those planes on 9/11 also believed that their deaths, and those of thousands of other people, would take them to a better place. I cannot but help think that a belief in a life after this one devalues the life we have here and now. It not only devalues the life we are living but it devalues the lives of all the people around us. There has been no shortage of people willing to snuff out a person’s life in order to save his immortal soul. Once you believe there is an endless, eternal, bliss-filled life after this one it becomes difficult to value this life very highly. If anything this life is an obstacle to get through as quickly as possible. The early church father, Tertullian expressed precisely this problem when he said: "I have no concern in this life except to depart from it as speedily as possible." I see the real tragedy in death. Because I do, I embrace life and life affirming values. I want a world that shuns death instead of looking forward to it. I don’t want to see pain or suffering. I want to wipe them out. I don’t believe we can avoid death but we shouldn’t welcome it as a portal to something better. It is the end of a life, not the beginning of one. Because of that I want to value the life of each and every person. It is not possible to do that with billions of people. But when I read about someone like Stephen Gately or Jonathan Brandis I actually mourn. When I read a story recently about a mother who killed her two young sons, before taking her own life, I felt grieved. Life is important, as far as we know, as far as we can prove, this life if the only one we have. To pretend that we know there is more only reduces the value of the life we do have. And that is not a message I want to send out to the world. 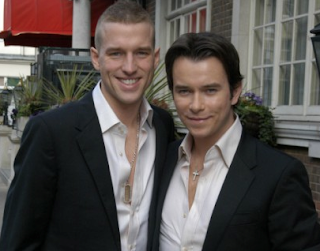 Photo: 1) Stephen Gately and husband, Andrew Cowles. 2) Jonathan Brandis. 3) David. Ek het jou lief, bokkie. Totsiens. posted by blog owner at 10/13/2009 06:29:00 AM DiggIt! Reddit Del.icio.us Slashdot It! Is this the future we will face? Cub Scouts arm children with dangerous weapons. The Poverty of debate over poverty.